FanFiction – I’ve Written How Much? 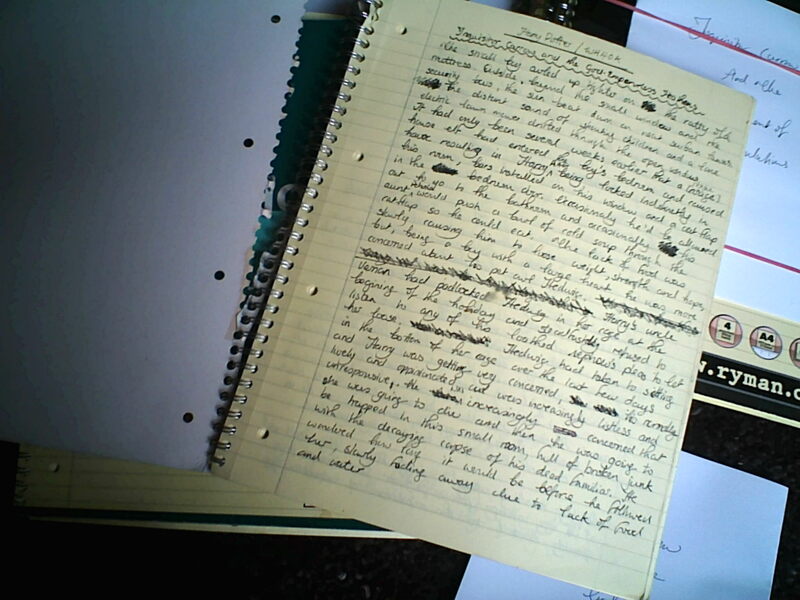 …and then I go on to the fact that I prefere to write out my stories on paper first before commiting them to the computer. It allows me a chance for a first edit, check the grammer, shift and twiddle things around and that. 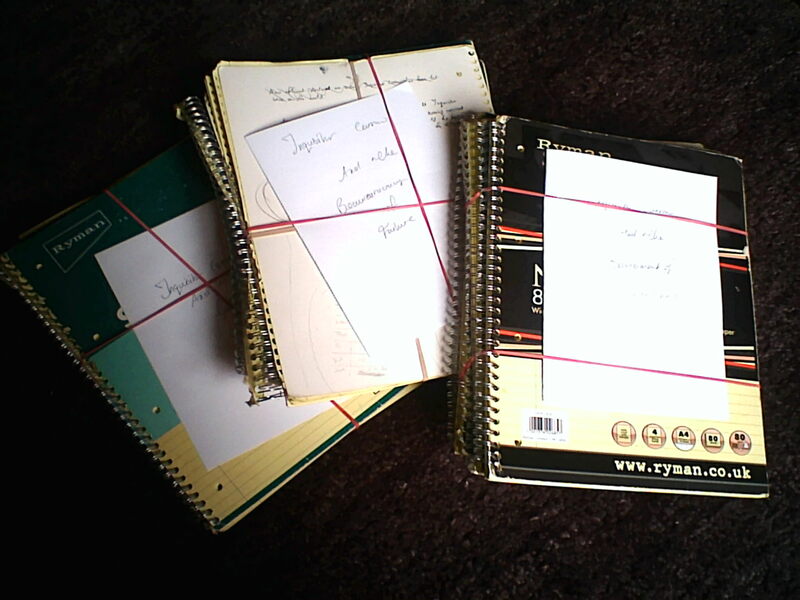 It also means I’ve got serious quantities of notebooks full of writing, as you can see. Thanks to the ring-binding they have an annoying habit of falling apart. I’m trying to switch to a smaller format rather than having to lug something A4 around with me all the time. Not much joy so far since I’m actually using a ring-binder at the moment. Once it’s in the computer then my brilliant Beta gets stuck in, correcting all the grammer and spelling I missed and making helpful and interesting suggestions, and pointing out those annoying plot holes that snuck by me. And this is where it all started, the very first page of Inquisitor Carrow and The God-Emperorless Heathens, which made it on to the internet more or less as I wrote it.